Happy Saturday everyone! I’ve been busy “Being Uncomfortable” and haven’t been able to finish this post! I hope to tell you all about it this week! Since I’m already late to this party, let’s just get started! 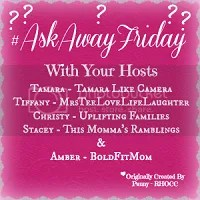 Tamara from Tamara Like Camera, Tiffany from Mrs. Tee Love Life Laughter, Christy from Uplifting Families, Stacey from This Momma’s Ramblings and Amber from Bold Fit MomSo…grab the brand, new button, follow our amazing hosts and co-host, hop through the great link ups and make some amazing new friends! This week, I team up with Sylva Fae who blogs about her children’s escapades in their enchanted woodland and the stories they inspired her to write. 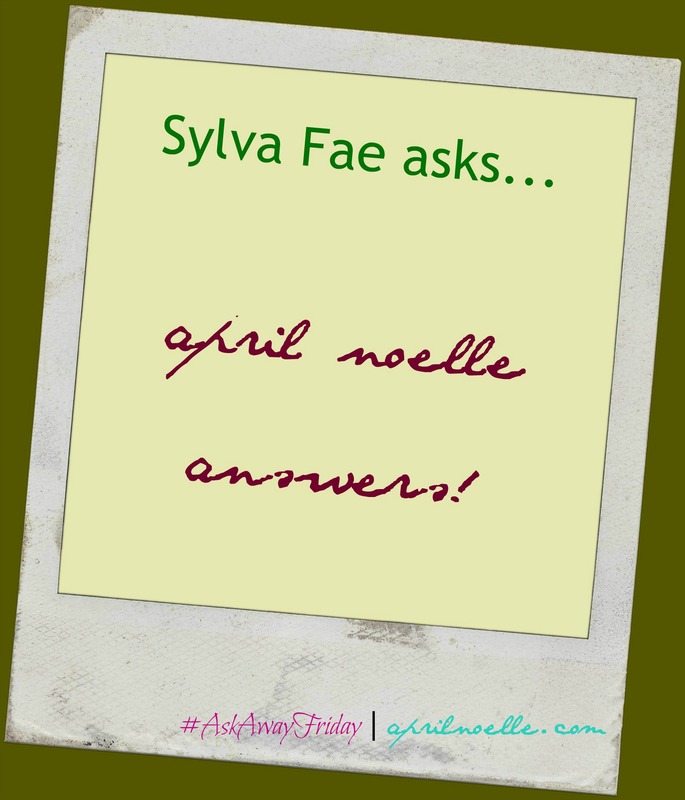 Don’t forget to stop by Sylva Fae’s place and read her answers to my questions. 1) I see you are a fitness fanatic, how do you find the time in between being a mum and blogging? LOL. I would hardly consider myself a fanatic. I want to lose weight and have a bunch to lose. At most, I like to work out… with friends. I don’t like to go to gyms. When I’m baby-free, I do my at-home workout programs. 2) Did you make any New Years Resolutions? How likely are you to keep them? Yes, I always have a list of running resolutions. Although I haven’t addressed this list yet, I’ll add or reassess some at the beginning of the year. Even if my resolutions are lengthy, I always try to make progress. I’m not someone who sets an unrealistic expectations, but I’d love to get somewhere. Since I tend to have SO many, I’m not sure it’s possible to achieve them all since I have children. 3) Frozen is a regular feature in your house too! Personally I love it but my favourite has to be Brave. Which is your favourite children’s film? Do you know the words to all the songs? Frozen is a regular in my house, but I try not to play it too often. I prefer to watch Brave myself and so does my daughter! I find so many gaps in the Frozen story. My favorite Disney movie is Beauty and the Beast. And I know every song and used to own the soundtrack when people actually had CDs. 4) If you were a character from a children’s film, which one would you be and why? The most vivid is probably Belle. We’ve been watching a lot of Disney movies lately. Belle was fairly straightforward and open with her feelings and the fact that she loved to read! 5) Getting girls to sleep! Is it just girls (I have three) who seem to wake up at bedtime? What impact does their disruptive sleep have on the rest of the family? I’ve learnt to survive on four hours! I’ve HAD to survive on four hours, more often than I’d like to admit, but two of the three are girls and I never had this problem with my son. He slept through the night very early, without waking up to even nurse at 6 months with 12 hours straight sleep. The girls are up no later than 2 a.m. every. single. night! For the last two weeks, the baby has been waking up to nurse too! It’s not too disruptive for the rest of the family, since as a stay at home mom, I don’t feel like my husband should get up. o every night, I get up and stay with her until she passes out from exhaustion or I decide to nurse her. 6) What are your favourite children’s books? I don’t have a favorite. We read whatever they’d like. We have about a dozen at home, but then go to the library for many, many more! 7) TV, Internet or book? How do you relax when the little darlings are finally asleep? Television. As much as I like to read, living on four hours of sleep means that working my eyes is just too much work. I’m out within 15 minutes! 8) Where would you go on your dream vacation? Money is no object in this fantasy. A tour of the Mediterranean by land and by sea. I would love a month long tour of those countries including Spain, France, Monaco, Italy, Montenegro, Albania, Greece, Turkey, Lebanon, and Israel. 9) Your children are Bee, Bunny and Butterfly – which creature would you change your name to, to follow the theme? Definitely Mama Bear! I’m protective. 10) OK I’m sending you some SylvaFae fairy dust to sprinkle and make a wish – how are you going to use your magic wish? I wish I could find real balance. I want to be able to have it all and do it well. I want to get my business off of the ground floor and start building something for my family. This has been another edition of Ask Away Friday. I hope you have a fabulous week! Hey Mama Bear Belle! Great answers and thank you for my super questions. One thing I’m constantly learning from these AskAwayFridays is that no matter where in the world we live, parenthood gives us a common bond. It’s comforting to know we share the same difficulties and we’re not alone. Most definitely! I think that’s what being a blogger has really made me understand. Thanks for swapping with me! Great swap, April and I love the way the blog is looking! I am definitely a mama bear too! I seriously know EVERY song from Beauty and The Beast! I LOVE Beauty and the Beast. Even though I have other ones that I like, I could watch it all day! I have to buy it again because the last copy got scratched up! Yes, it’s fun to get out of your comfort zone and really share yourself. I love Belle and Beauty and the Beast, too. Brave is one of our favorites in our house, my daughter loves her and I think it’s cool how she can handle a bow and arrow! I’m used to running on 4 hours of sleep since my daughter still wakes up through the night. It’s time for a new bed since she’s still using her crib mattress and I think it’s just too stiff on her back now. Great questions and answers, enjoy the rest of your weekend! Hmmm, I wonder how that would work. I think they both like our bed because it’s more comfortable. I put blankets under the sheet to make it softer, but if I get a big bed, maybe we can just get a trundle so they both have their own bed. Butterfly doesn’t move much when she sleeps or maybe they can just share the bed. Hmmmm… got me thinking! I hate running on 4 hours because even though I get up and go, I’m never at 100%, I take more breaks than I need to and forget often what I’m supposed be doing. Can’t wait to exchange questions with you! I thought that I already commented on this! Woops…I absolutely love Beauty and the Beast, Belle will always be one of my fave Disney characters. It would be nice to get more than four hours of sleep, but how would we ever get anything accomplished. LOL! Have an amazing weekend, April! I thought you did too! I don’t know what happened. I hope your weekend was fantastic.